That statement sums up the general attitude of the Honduran culture of giving. It is rare to enter a home inHonduraswithout being offered Coca Cola, coffee, cookies, bread, or a plate of food by the family who welcomes you. This includes people who have become our friends as well as people we’ve just met. 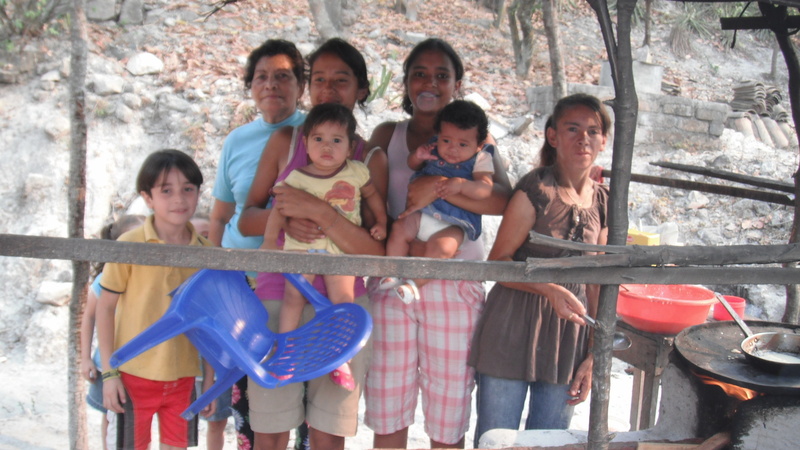 They can be families from the upper middle class or friends from the more humble communities in which we work. Ironically, I have found that those with the least offer the most. This, to me, has been one of the greatest gifts I’ve received from my experience here. I originally chose to do a year of service because I wanted to give to those with less, yet my time here has shown me that I will gain so much more from the people I serve than I can ever possibly give. In a country where so many have so little, the small gifts individuals make for the benefit of others shows an empathy unrivaled by any place I have known. Even the children show a kindness that I have never witnessed before. When you give a child candy or a snack, they will invariably pack half and bring it home for their brother or sister. It is incredible to see a child with so little so willing to give their small gift to a sibling. I have learned to let go of the possessions I own with an understanding that they are just that, possessions: a worthless thing that in the end holds no value. I came to give my time and my energy without knowing how much more the people would give me through their gestures and actions. “Do you want more tortillas?” Ledi asks as she puts two more on my plate before letting me answer. “How about some Coke?…Mariela! Go buy some Coke.” She sends her daughter to buy a bottle even though she has already served us coffee and cookies before serving dinner. I smile at her, eating and drinking everything she serves, understanding that through this gift she expresses her gratitude for the blessings she has. Hope Restored Greetings From Jamaica!